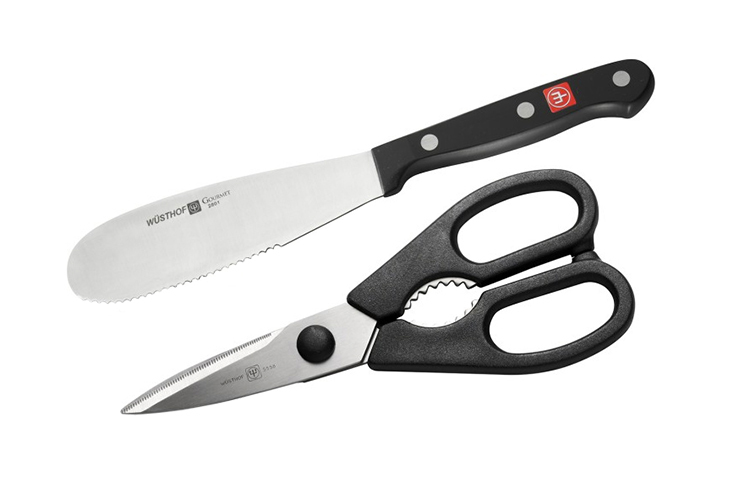 From the Gourmet Collection, Wusthof brings you this great little set with a handy spreader and kitchen shears. The spreader has a wide blade to handle any filling and one serrated edge to trim bread edges. The come-part Shears are easy to clean and the handles are made a of durable synthetic material which resists fading.